Diana Ross and Fathom Events will celebrate the star’s 75th Diamond Diana Birthday Celebration with a special gift to fans around the world. The special two-night screening of “Diana Ross: Her Life, Love and Legacy” featuring “Diana Ross Live in Central Park” comes to movie theaters worldwide, premiering on her birthday, March 26. The exclusive theatrical release will feature a remastered version of Ross’ iconic Central Park concert, documented in July 1983 and considered one of the most important landmark events in music and entertainment history. 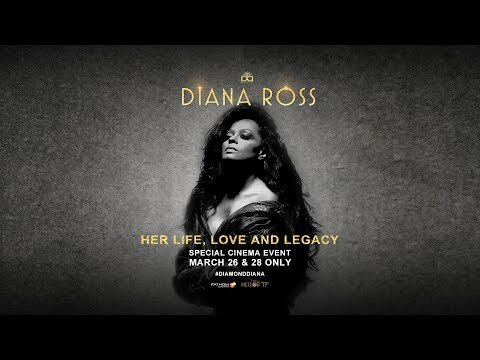 The cinema event will also include special, never-before-seen footage and messages from the Ross family, including sons Ross Naess and Evan Ross, daughters Rhonda Ross Kendrick and Chudney Ross, with Tracee Ellis Ross giving a loving and passionate introduction to the film in celebration of the superstar’s legacy.